The establishment fears an open process for any election because the competition inherent in such a process brings out the truth and the truth hurts their cause. That is why they are seeking to preempt a protracted race for Speaker by clearing the field with Paul Ryan. Much like the presidential election, whenever the establishment lacks a “next in line” presumptive front-runner, they lose. For the first time in recent memory, the establishment can’t find a viable candidate to run for president. This dynamic has created many choices and robust competition for the presidential nomination. The voters are the beneficiaries of such a process.There is nobody in modern politics whose record and true priorities are more divorced from their rhetoric and public perception. This process is set to unfold in the Speaker’s election with multiple choices and the opportunity to force each candidate to address issues and processes important to conservatives. That is why the media and the establishment are working overtime to clear the field for Paul Ryan. That is why Mitt Romney, the very armpit of the system conservatives seek to dismantle, is begging him to run. Paul Ryan represents one of the absolute worst outcomes for conservatives. There is nobody in modern politics whose record and true priorities are more divorced from the ir rhetoric and public perception. Unlike McCarthy or some of the other choices, Ryan’s ascendancy to the speakership would be hailed as fresh change. In fact, it would serve nothing more than putting the prettiest face on the ugliest policies. Just take a look at his Liberty Score for a rundown of some of the worst policies Ryan has supported. 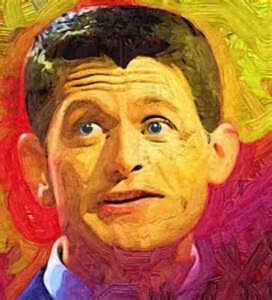 Eric Cantor was defeated, McCarthy was blocked…now they are pulling out all the stops for Ryan. While conservatives understand they won’t get everything they want in a Speaker, the worst thing is to perpetuate the current failed leadership structure. In 2010, three House members authored a book titled “Young Guns,” promoting a new “nuanced” conservative agenda: Eric Cantor, Kevin McCarthy, and Paul Ryan. Eric Cantor was defeated, McCarthy was blocked…now they are pulling out all the stops for Ryan. There are many choices from which to choose, but shouldn’t we rule out the TARP coalition? Ryan has used his leverage and respect to sabotage conservatives on every last budget fight of our time. He forged the Ryan-Murray budget deal, which actually countermanded the few budget victories we’ve had over the past few years. He was a wet blanket over the effort to defund Planned Parenthood. There is nobody in the conference who feels stronger about the need to preemptively announce we will not “default” or “shut down the government” than Ryan.